Quiet, observant, companionable yet also independent, cats grace many a home and do so with such style. As Jean Cocteau found, ‘little by little, they become its visible soul’ and, as well as becoming such an important part of our lives, cats can also teach us and remind us of some helpful truths. 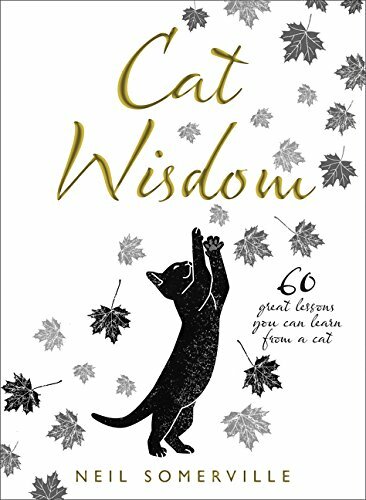 In 'Cat Wisdom' I have drawn on my knowledge and love of cats and describe 60 lessons we can learn from our furry feline friends, including the benefits to be had from quiet observation, of ‘looking before you leap’ – and cats are excellent sizer-uppers, of how to grasp opportunity, making the most of the now as well as following instinct. The lessons are short, inspiring and great for dipping into. The book is also beautifully illustrated. If you would like a signed copy of Cat Wisdom, either for yourself or as a gift, you can order below. Please do let me know by email or by contacting me if you would like a name or special dedication entered in the book. Copies are sent post free in the UK and for a small additional charge for overseas.